Pakistan’s Dawn reported on January 27 that Maulana Masood Azhar, founder of the terrorist group, Jaish-e-Mohammed, held a rally in Pakistan Occupied Kashmir, where he criticized India of “killing Kashmiri Muslims” and warned India of “dreaded revenge” for its execution of Afzal Guru. This was Masood Azhar’s first public rally in years after Pakistan ostensibly banned Jaish-e-Mohammed, first after the 2001 attacks on the Indian Parliament and subsequently after the 26/11 attacks in Mumbai in 2008. However, while this may have been his first major public rally since 2008, Masood Azhar appears to have been reactivated as far back as at least 2011, per a report in the Islam Times. Masood Azhar’s return to his headquarters in Bahawalpur and the resumption of terror training camps had the blessings of the Pakistani establishment. When India, in December 2008 declared Maulana Masood Azhar, Dawood Ibrahim and Hafiz Saeed as wanted men, Pakistan was forced to ban the Jaish-e-Mohammed. Under pressure from Islamabad, Masood Azhar moved out of his Model Town headquarters in Bahawalpur –where hundreds of fighters were being trained — and relocated to South Waziristan. Islam Times’ military source now reports that Masood Azhar has returned his Bahawalpur headquarters and resumed the training of militants there. Masood Azhar also openly operates madrasas where hundreds of children are being instructed in new interpretations of Islam. According to our source, Masood Azhar is constructing bunkers and tunnels similar to those that existed in the madrasas of Lal Masjid and Jamia Hafza before they are destroyed by Pakistani military action in 2007. Masood Azhar has been granted permission by the Pakistani establishment to resume his activities in Bahawalpur. Masood Azhar’s associate Rashid Rauf escaped while under trail in Pakistan and ended up in Europe. After flying to London in August 2007, he was involved in a failed attempt to blow up a trans-Atlantic flight. It is alleged that Rashid Rauf was killed in a drone attack in North Waziristan in November 2008. Pakistan’s senior security officers indicate that Jaish-e-Mohammed has ties with al-Qaeeda, the Taliban and the Haqqani Network and is working with these outfits to target kaafirs (presumably U.S. and NATO troops) along the Pakistan-Afghanistan border. After being released by India (as part of a swap for hostages aboard a hijacked IC-814 flight) in 1999, Masood Azhar organized a rally in Karachi with over 10,000 participants and declared that Muslims will not rest until India and the U.S. were dismembered and destroyed. When the trajectory of talks between India and Pakistan slowed in 2007, Jaish-e-Mohammed lauched many successful attacks in “Occupied Kashmir” under the leadership of Mufti Abdul Rauf, Masood Azhar’s younger brother. Mufti Abdul Rauf was subsequently also given facilities in Rawalpindi to train terrorist organizations from South Punjab. India must use its good offices to ensure that the U.S. and Afghanistan sign a bilateral security agreement. If the world was in need of a preview of things to come in a post-2014 Afghanistan, it got one on Friday. A Taliban attack on a popular Lebanese restaurant in Kabul claimed 21 lives. Those killed included the International Monetary Fund’s chief for Afghanistan, a senior political official at the UN and a British candidate in the upcoming elections for the European parliament. The insurgency in Afghanistan has claimed the lives of many of its citizens as well as those of NATO’s security forces. But as the New York Times notes, attacks against foreign soft targets have been relatively less frequent. The Kabul Hotel Inter-Continental was attacked in 2011; U.S. and Indian embassies have been hit in Kabul and in other parts of Afghanistan. The more recent attacks have involved operations with the use of suicide bombers to breach perimeter security followed by commando-style assaults with the use of RPGs and assault rifles. The goal, ultimately, is to weaken the will of the West to remain in Afghanistan after 2014. The U.S. and NATO winding down operations in Afghanistan will undoubtedly create a perilous security situation in that country. Afghan president Hamid Karzai has refused to enter into a status of forces agreement with the U.S., even as the Afghan National Army remains ill-equipped to deal with a raging insurgency coupled with terrorist assaults on the capital. Mr. Karzai is throwing caution to the wind by tying the signing of a Bilateral Security Agreement (BSA) to the U.S. facilitating “peace talks” with the Taliban. He may get neither. The U.S.’s ability to facilitate a negotiation with the Taliban remains in question, particularly when the Taliban and their sponsors in Pakistan have been working towards the goal of ensuring a total exit of U.S. and allied forces from Afghanistan all along. Mr. Karzai, whose presidency ends in April 2014, may have little to lose, but the burdens of his action or inaction will be borne by Afghanistan’s future governments. Meanwhile, anyone in New Delhi still under the delusion that events in Afghanistan have no bearing on the security of India would do well to reach for their history books. It is precisely the sort of Pakistan-supported, Taliban-operated environment that could prevail in a post-2014 Afghanistan that allowed for India’s surrender of Maulana Masood Azhar (who was languishing in an Indian jail) in Kandahar in exchange for passengers hijacked onboard IC-814 in 1999. As a result of our capitulation, Azhar returned to Pakistan to regroup members of the terrorist group Harkat ul-Mujahideen (HuM) and formed the Jaish-e-Mohammed (JeM) in 2000. A year later, JeM attacked the Indian parliament, killing 12 civilians. Our members of parliament, rather miraculously, escaped unharmed. A similar situation may present itself when the U.S. departs Afghanistan. Although many of us have called for India to deploy hard power in Afghanistan, or at least play a more active role in training and supplying weapons to Afghan security forces, New Delhi has chosen to only limit its involvement to economy and institution-building. Laudable endeavors undoubtedly, but insufficient to ensure the security of India and her interests in that country. India has already rebuffed Mr. Karzai’s request for weaponry during his December 2013 visit. But if India is disinclined to deploy hard power in Afghanistan, it must, at the very least, ensure that a U.S. security presence remains in the country to prevent it from being engulfed in yet another civil war that could render twelve years of development and progress to naught. Indeed, India is most uniquely positioned — as a friend to both the U.S. and Afghanistan — to use its good offices to ensure that a version of the BSA agreeable to both Afghanistan and the U.S. is signed. Almost every other country is viewed with suspicion by either DC or Kabul. Last week, U.S. Deputy Special Representative for Afghanistan-Pakistan visited India to discuss the furture of Afghanistan. U.S. intelligence officials also met an Indian delegation led by Joint Intelligence Chief Ajit Lal to urge India’s influence with Mr. Karzai to conclude the BSA. There is no doubt that India is in the midst of domestic political upheaval. The economy is sagging and political stewardship is found wanting in almost every aspect of governance. However, facilitating a status of forces agreement between Afghanistan and the U.S. must become a national security priority for India. A U.S.-Afghanistan BSA cannot prevent attacks such as the one this past Friday, but it may stave off a total collapse of the state to the Taliban. Ultimately, it is simply not in India’s interests to see Afghanistan relapse into the laboratory of terrorism that it once was under Pakistan’s influence. (And on a separate note, New Delhi’s assistance in facilitating a BSA could also demonstrate that both India and the U.S. are committed to putting the very unseemly squabble over Devyani Khobragade behind them). US President Barack Obama revealed the much anticipated “Af-Pak” strategy today in Washington. The text of the speech is certainly more candid than previous Bush-era speeches. But how different is this strategy really to what has already been tried and tested? Notice how the “clear and focused” goal makes no mention of the Taliban. The goal now appears to be to aggressively pursue and incapacitate al Qaeda in the region. On the face of it, rendering al Qaeda inoperable is no different from GWB’s own strategy; the one difference now is that the US has “boots on the ground” and is far less reliant on assistance from the ISI. Why wasn’t the Taliban mentioned? Well, because it gives the United States enough wiggle-room to play the “divide and conquer” game that the West has played so well in Asia and Africa: i.e., play the “good” Taliban against the “bad” Taliban. Pit Mullah Omar against Baitullah Mehsud. And Baitullah Mehsud against Maulana Fazlullah. This strategy is going to be challenged in the coming weeks, as Mullah Omar and Mehsud appear to have patched up their differences, as reported in The New York Times. Working with Gen. Kayani on coordinating attacks in NWFP and Baluchistan, while paying lip-service to the civil government and democracy. In Afghanistan, Obama will deploy an additional 17,000 troops to counter the insurgency, particularly in Helmand province, where the British have been taking heavy fire. In addition, there will be another 4,000 troops designated to train Afghani security forces to counter the “uncompromising core of the Taliban”, basically the Taliban who refuse to be bought by the US. The forging of the “Contact Group for Afghanistan and Pakistan”, whose members include the US, several Arab states, Central Asian republics, Russia, China, Iran and India shows a shift from the NATO/”coalition of the willing” dominated mandate of GWB’s policies. How effective this new contact group will be will remain to be seen, but there now appears to be a realization in Washington that the future of Afghanistan and Pakistan cannot be decided without consensus from regional powers like Iran and India. In the past, because of Washington’s allergy to Iran, the Islamic republic was never consulted on Afghanistan. Similarly, because of Pakistan’s objections, India was never consulted on either Pakistan or Afghanistan. The thinking has clearly changed. However, the gaping hole in the Af-Pak strategy is the exclusion of Punjabi terror outfits such as Jaish-e-Mohammed and Lashkar-e-Tayiba. These groups present a clear and direct threat to Washington’s goal of strengthening civilian government in Pakistan and to security in India. Whether because they were blind sighted by the situation in NWFP (unlikely) or because of Pakistan’s insistence, these groups were not included as part of the Obama administration’s strategy. The exclusion of these groups in the US’s Af-Pak strategy is a perpetuation of the fallacies of the Bush era. “We’re also victims of terror”. This phrase has come to be used quite liberally by Pakistani leaders (civilian and military), usually in response to an incident on foreign soil that invariably involves their citizens. It has always surprised me that our leaders and media have never called them out on this bogus statement. At best, the statement is an unintentional gaffe. At worst, it’s a calculated oversimplification, regurgitated with the intention to mislead. Terrorism is a very broad term, and one that has been made popular by the Bush Administration to almost always mean Islamic terrorism, perpetrated against the West or Western targets. Therefore, the 9/11 and 7/7 attackers in New York City and London were “terrorists”, while those that attacked Mumbai last month, were merely “gunmen” or “militants”. Theoneste Bagosora’s people, who butchered 800,000 Tutsis in Rwanda in the worst genocide the world has seen in decades, were Hutu “militia”. Even the term “Islamic terrorism” is a very broad generalization. It is precisely the obscurity of this term that allows Pakistan the convenience of hiding their incompetence and/or connivance with the ruse that they are victimized by the same groups. This, of course, couldn’t be further from the truth. In terms of pan-Islamic interests, Al Qaeda is the most significant organization that Pakistan today battles in NWFP. Osama bin Laden and Mullah Omar were trained and equipped by the CIA and the ISI to fight against the “Godless” Soviets. When the Soviets withdrew, they turned around and bit the hands that fed, as it were. Pakistan today fights the Taleban and Al Qaeda, not because they have ideological differences with them, but because they were forcefully dragged into the “War on Terror”. It is interesting though that in the many tapes that he has released to Al Jazeera, bin Laden has rarely ever mentioned Kashmir or India. This isn’t because he doesn’t have anything against India (he clearly does) , but because his immediate priorities are different. 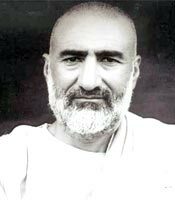 Khan Abdul Ghaffar "Bacha" Khan, aka "Frontier Gandhi"
In Baluchistan, FATA, and NWFP, a region that boasts of colonial-era heroes such as Bacha Khan (“Frontier Gandhi”), the theater of violence is limited in scope to the aspirations of the tribes and ethnicities in the region. They do not think of themselves in being part of a pan-Islamic struggle against the “infidels”, but as good Waziris and Baluchis fighting for autonomy to preserve their way of life. For them, the tribe is more important than the concept of the nation, which they dismiss as a western concoction. Therefore, those suspected of masterminding the assassination of Benazir Bhutto (e.g., Baitullah Mehsud) were motivated by a perceived threat to their way of life by a liberal, decidedly pro-western politician. Despite the gradual radical Islamization of these regions, there is no direct threat to India emanating from the various tribes and groups. However, there are two types of terror groups in heartland Pakistan — those who seek to act in Pakistan, and those who seek to use Pakistan as a base to act elsewhere. The fight to act in the heartland is along inter-ethnic (Shias vs. Sunnis, Pashtuns vs. Sindhis, Sindhis vs. Mohajirs, etc.) and anti-government lines, and includes terror organizations such as Lashkar-e-Omar and Lashkar-e-Jhangvi. The Mariott bombings in Islamabad in September 2008, were, by many accounts, perpetrated by terrorists opposed to the political process of Pakistan. Other radical actors, such as the Ghazi brothers who held out in the Lal Masjid in 2007, fought for a more fundamental implementation of Islam in Pakistan, and were against Parvez Musharraf’s quasi-western “enlightened moderation” policies. Although JeM’s Maulana Masood Azhar is said to have delivered speeches at the Lal Masjid, the interests of Pakistan’s new adversaries in the heartland, again, are confined to the politics of Pakistan. Lashkar-e-Toiba (LeT), Harkat-ul-Jihad-al-Islami (HuJI), and Jaish-e-Mohammed (JeM) are different. That they enjoy the protection of the ISI and elements of the Pakistani army highlights the impotence of the country’s civilian leadership. JeM’s objectives include the liberation of Kashmir and its subsequent incorporation into the dominion of Pakistan. Its leader, Maulana Masood Azhar, was languishing in an Indian jail before he was set free by India in exchange for the lives of Indian civilians aboard Indian Airlines flight 814, which was hijacked to Kandahar by JeM in 1999. To show gratitude for his release, Azhar sent his thugs around in 2001 to attack the Indian Parliament. Similarly, LeT’s objectives are clear — the liberation of Kashmir (a goal closely aligned to Pakistan’s own objectives), and the Islamization of South Asia (i.e., wiping out Hinduism). Indeed, the group’s founder, Hafiz Mohammed Saeed, appears to have no quarrels with the State of Pakistan, and considers himself a patriotic Pakistani — a very different view indeed from the other terror groups that denounce political division as a western idea, and see themselves as warriors of the Muslim brotherhood. In summary, yes, Pakistan, you are a victim of terror, but, no, it isn’t the same kind of terror, and it isn’t being perpetrated by the same terrorists. Seven years ago, you called the people who attacked India “freedom fighters”. You offered them “diplomatic” and “moral” support. So let’s be clear: the people that attacked Mumbai, attacked Mumbai — not Karachi. They attacked India, not Pakistan. And while Asif Ali Zardari paints his nation as a victim on the international stage, Lashkar’s aiders and abettors, citizens of his country, under the protection of the very agencies that he supposedly oversees, are busy plotting their next big bloody assault on India.